-Preheat the oven to 280ºF, and position 2 racks in the lower section of the oven. Line 2 rimmed baking sheets with parchment paper. Using the small cookie cutter as a stencil, draw circles on the back of each sheet, spacing the circles at least 1/2-inch apart (draw the circles on the back side of your parchment to avoid ink or pencil stains on your macarons!). -If your almond meal is very coarse, grind it with the powdered sugar in a food processor until fine. Sift the almond meal-powdered sugar mixture twice through a mesh sieve. -Place egg whites in the bowl of a stand mixer (or use a hand mixer), and begin to beat on medium-high. When the eggs are frothy, gradually add granulated sugar 1 tablespoon at a time until fully incorporated. Continue to beat the egg white mixture until glossy and stiff peaks form when you lift the beaters. Gently stir in the vanilla extract and food coloring. Be careful to not to over beat the meringue (e.g., the meringue takes on a clumpy texture). -Add half of the sifted almond mixture, and gently fold it into the meringue using a flexible silicone spatula. Lift from the bottom, up around the sides, and toward the middle, being careful to not over agitate the meringue and lose too much air. Once the almond mixture is predominantly incorporated, add the second half and repeat. -Pour batter into a pastry bag with tip. Twist and clip the top of the bag to avoid overflow. On your prepared baking sheets, pipe out 1-inch rounds in the circles you drew. -Holding the baking sheet in both hands, rap each baking sheet firmly on the counter two or three times. This smooths out the tops and helps form the “pied” or frilly foot on the bottoms of the macarons. Allow the piped macarons to dry, uncovered, for at least 15 minutes. The macarons should form a very thin, smooth crust where, if you tap it lightly with your finger, the batter will not stick to your finger. If after 15 minutes, the batter is still sticky, let it dry longer. This may take up to an hour on humid days. -Place both baking sheets in the oven and bake for 15-18 minutes. After the first 2 minutes, open the oven to allow any excess humidity to escape. Halfway through, swap oven racks and rotate the sheets for even baking. The macarons are done when they are baked all the way through and the shells are just hard. Take care to not underbake (insides will still be mushy) or overbake (tops will begin to brown). Remove them from the oven, and cool on baking sheet placed on a wire rack. 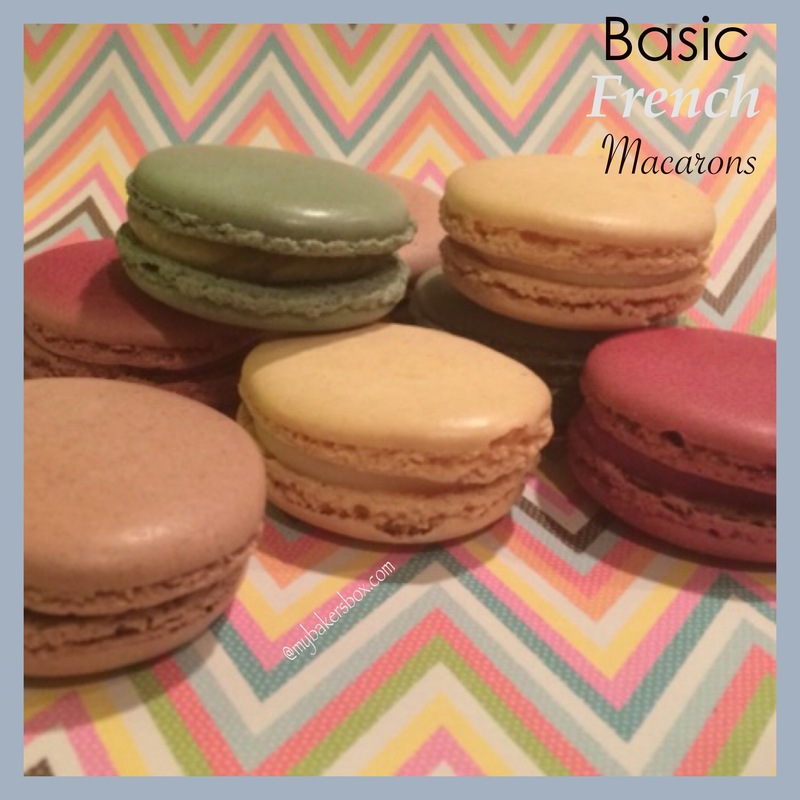 -When fully cooled, assemble the macarons with your choice of filling. The assembled macarons can be stored in an airtight container in the refrigerator for up to one week. -Cut butter into pieces, and mash with a spatula until the consistency resembles mayonnaise. -In a small bowl, whisk the egg yolks, then add the granulated sugar, and whisk until the mixture lightens to an off-white and you can no longer see the granules of sugar. Add the milk, and whisk to combine. -Pour the egg mixture into a small saucepan, and heat over low heat, whisking frequently to ensure that the mixture does not curdle or scorch. Cook until the mixture becomes thick and custardy, like pudding. -Pour the egg mixture back into its bowl, and whisk constantly until it returns to room temperature. Whisk in the butter in three batches, add the vanilla and food coloring, and stir until smooth and all ingredients are fully combined. Pipe or spread onto one macaron half and sandwich between the other.